In short, don't walk on your lawn when it has already frozen until the temperature has increased above freezing and the frost itself has lifted. Otherwise, your footsteps will probably leave brown imprints where the weight of your treading has crushed the leaves and left them irreparably damaged. Practically speaking, it is next to impossible to protect every plant in your landscape but, on the other hand, it may not really be necessary. Knowing that fruit trees must be protected while the native cacti are relatively immune to the frost will maximize your efforts. Consult with your local horticultural expert for the best advice. Wind can be a real killer in the winter months dropping the actual temperature by a dozen degrees or more due to the wind chill factor. Placing the more susceptible plants in places where they will be protected from the wind is simple common sense. The south and west sides of a building get more sun and planting shrubs near a retaining wall can also get them a little extra heat during the night. While most homeowners will sagely place old sheets and bed coverings over their most prized plants and shrubs, the wiser ones will also drop in a layer of mulch that will protect the roots of the plants as well. In addition, it is also a great way to get a head start on next Spring's projects as you will already have a foundation established. While seemingly the ideal material for covering at-risk pants, plastic actually has several major drawbacks. 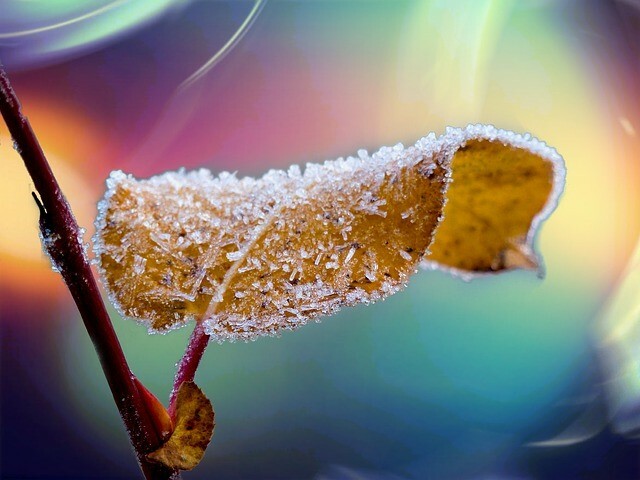 It traps moisture which leads to the plants major undoing during a cold spell – freezing. In addition, even the slightest touch from a plastic covering to a plant is enough to impart the cold from the outside and damage the leaves of the stem. While somewhat against conventional wisdom, regular watering is of great value to a lawn and plants during the winter season in Arizona. Water your plants in the morning as the wet soil will absorb whatever heat is available from the sun and the leaves will have time to dry before the sun sets. Just don't over water and everything will be fine. Every experienced gardener – and the vast majority of novice ones – would never prune in the winter season. This tip is specifically aimed at those who feel the need to remove those dead and decaying leaves and twigs. Don't do it! The parts you remove are actually serving as protection for further damage from the weather. Wait until spring even if it means looking at some unsightly plants. If you haven't realized it yet, your citrus trees are not really suited to the Arizona winter environment. It is essential to cover even relatively large trees – those with six inch trunks or less – or you may wind up in the Spring with a yard full of dead plants. Just another tip on how to protect plants from frost in the Arizona desert. There you have it, now you know how to protect plants from frost.